Gangtok: D.B. 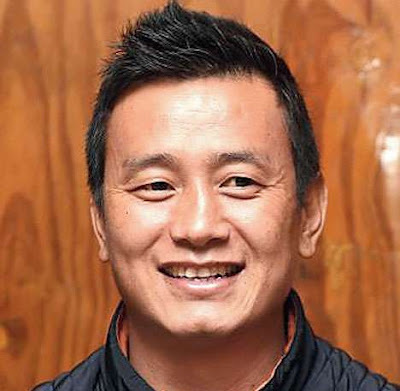 Chauhan, the president of the Sikkim unit of the BJP, on Friday indicated that there was a possibility of Bhaichung Bhutia joining the party but a close aide to the former Indian football captain, who had already made public the name of the party he proposed to launch in Sikkim soon, promptly denied such a move. Chauhan told a press conference here that both the BJP's central and state party leaderships were in talks with Bhutia and the party was very keen on having a relationship with him. "We will be able tell the exact equation, whether he will join the BJP or have an alliance with us, by September or October. We don't, however want to miss him," he said. The Sikkim BJP president prefaced that by hailing Bhutia as a national celebrity. Dilip Rai, a close aide to Bhutia, however, said no such talks had taken place within the group helming the Hamro Sikkim Party, which is the name of the party that is yet to be formally launched. "Bhaichung is one of the members of the party, which is yet to be launched. No such talks have taken place within the group. The BJP president must be giving his own opinion. We have nothing say to it," he said. Political circles here though are agog with speculation that Bhutia indeed is eyeing some kind of relationship with the BJP in order to mount a serious challenge to the ruling Sikkim Democratic Party in the next Assembly elections, which are due in the middle of next year. "Bhutia enjoys very good relationship with some BJP leaders at the Centre, particularly Kiren Rijiju, the Union minister of state for home. He knows it will be difficult to take on the SDF behemoth, which has been in power in Sikkim for close to 25 years, on his own and a tie-up with a party like BJP would be of massive help. The BJP, too, wants to extend its foothold in Sikkim after managing to come to power in other northeastern states in alliance with local parties there," said an analyst. Chauhan also took on the SDF president and Sikkim chief minister, Pawan Kumar Chamling, for referring to the BJP as a party from outside. "In a democratic country like ours, how can he (Chamling) call BJP a party from outside? What is he trying to suggest? Is Sikkim not part of India? We not only condemn such a remark, but would seek an explanation from the chief minister," he said. Chamling, in his speeches, never refers to BJP by name, but calls it a "party from outside". Ironically, SDF is part of the North-East Democratic Alliance, the BJP-fronted political coalition. Chauhan said his party was also willing to have a pre-poll alliance with other parties who are willing to work in the interest of SIkkimese people. The Sikkim Krantikari Morcha (SKM), which is the main opposition party in the state, also holds a similar view.